With the first steel column now in place, construction is well underway for Mazda Toyota Manufacturing U.S.A. (MTMUS). Team members celebrated the milestone with a small gathering at the plant site Tuesday. Despite a heavy rain season, construction of the $1.6 billion advanced manufacturing facility in Limestone County remains on schedule. “Today marks an exciting milestone for the MTMUS team and the state of Alabama,” said Masashi Aihara, president of MTMUS. “We are fully committed to this project and we can now see the beginning of our new campus taking shape.  * 150,000 cubic yards of gravel poured to create the plant foundation, equal to filling 46 Olympic‐size swimming pools.  * 2,500 construction workers projected to be on site by late summer 2019. MTMUS is expected to create up to 4,000 jobs and is currently in the process of hiring professional staff and skilled maintenance positions. Additional job postings will be added throughout the summer, with production hiring starting later this year. Interested candidates can learn more at www.mazdatoyota.com. MADISON, Ala. — Nationally, women make up less than 10 percent of the construction industry – 9.1 percent according to the National Association of Women in Construction. That number has been steadily increasing over the past decade, so much that the NAWIC started a Women in Construction Week, held annually in March. It highlights women as viable components of the construction industry and raises awareness of the opportunities available for women in the construction industry. Hoar Construction, headquartered in Birmingham and contracted to build the new Rocket City Trash Pandas’ baseball stadium in Madison, has long since broken through. 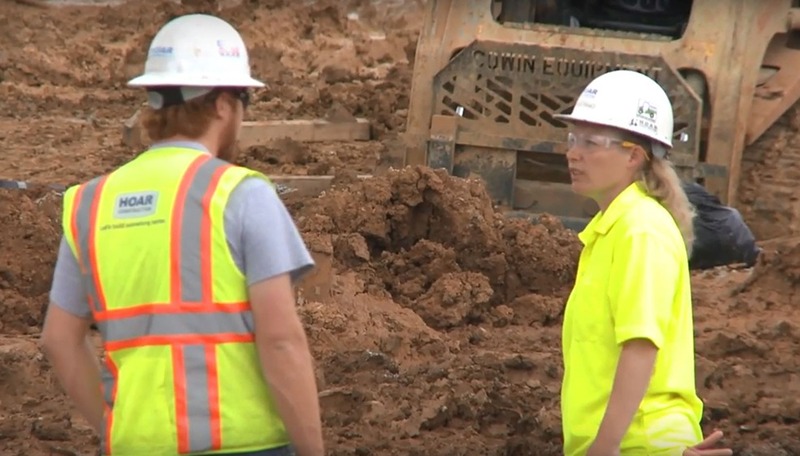 When it comes to women wearing hardhats on a construction site, Hoar Construction says women are beginning to dominate in engineering and project management positions within their company. Hoar’s female workforce is up to 20 percent, but what kind of challenges do women face on a construction site and how do so many find their way into the business? Amanda Black is a safety manager for Hoar Construction and is with the crew at the baseball stadium. Amanda is 29 years old and her parents have worked for Hoar for over 32 years. “I grew up on a construction site,” said Black. “As a child, I picked things apart to see how they were built. Even with toys, I wasn’t interested in the thing itself. Black went to college on a scholarship, but the school didn’t offer academics in engineering or construction. She came back to what she knew. Eleven years later, she is working for Hoar and is back in school for construction management. As a safety manager, Amanda notes that everyone on a construction site has a very important job and the more skills sets you have, the more it benefits you. “I started out as a laborer trying my hands at carpentry work, concrete, and I know how to operate some of the equipment,” she said. “I also help with the shell work on empty buildings and cross over to quality control when they need help. Jessica Yarbrough grew up learning the cabinetry trade from her father who worked as a boat captain three days on and three days off. Cabinetry was a hobby he excelled in and still does. Jessica can build cabinets, but she chose not to pursue the craftsmanship side of construction. Instead, she has spent the past 7½ years traveling from project to project with her husband who is a superintendent for Hoar Construction. Now she is in Arlington, Va., working for the first time without her husband on a 12-story midrise apartment building. “I am an exterior scan superintendent,” said Yarbrough. “I am responsible for the brick, metal panel, glass storefront, and glass curtain wall that makes up the exterior on this project. Every day, I oversee the work of our trade partners, including brick masons, a metal panel guy, our window installer, and ironworkers. Yarbrough started college in premed but, while in the process of switching to nursing, an advisor noticed she was taking extra math classes. She asked Jessica if she was good at math and when she answered “Yes,” they encouraged her to pursue engineering rather than the medical field. Since then, there have been only a handful of times when she felt being a woman negatively impacted what she was trying to do. 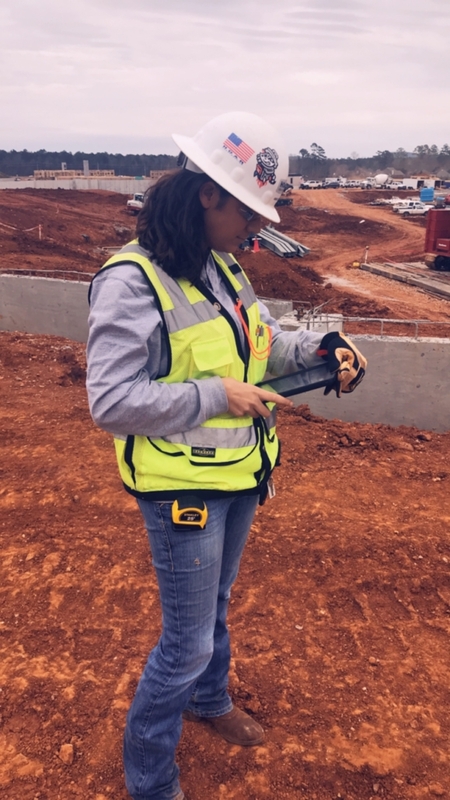 Donna Strange, like Jessica Yarbrough, is an assistant superintendent for Hoar Construction and she coordinates among multiple trade partners, documenting and making notification of field changes in real time on any project. Donna said she bounced around a few different professions, all of which left her feeling stuck, without a chance to get out and learn and explore. She said her biggest challenge at being a woman in a predominantly male industry is her 5-foot-2, 110-pound stature. It can be hard to show authority when you are petite, but she gets around it by being knowledgeable. 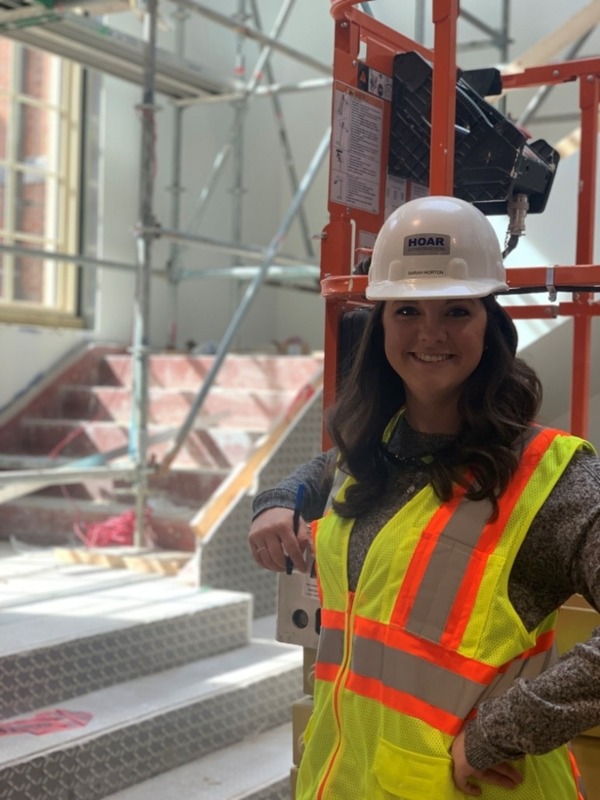 Sarah Horton joined Hoar Construction officially this past year as a project engineer, but she worked for Hoar throughout college and was a co-op student with them in 2014. Sarah has a degree in architectural engineering from the University of Alabama but, from a general contractor’s perspective, she is at the management level of the job cost perspective. Most of the work Sarah is involved with is renovated buildings rather than new construction, and she has been assigned to the Samford University campus in Birmingham. Her most current project is the University Center. Structural and procedural changes are commonplace in renovations and Sarah’s architectural engineering background allows her to run software programs that a typical project manager ordinarily wouldn’t, such as the popular Building Information Modeling software. “Typically, when we get a set of documents, they are printed on paper, but obviously building construction is seen much better in 3-dimension,” Horton said. “I use BIM and my architectural engineering background in HVAC design, power distribution and design, and structural concepts of building to get that into a 3-D space and coordinate changes from a general contractor’s perspective. Sarah was exploring scholarship options while enrolled at the University of Alabama studying dentistry when she was approached by the engineering department, who had her test scores in math and science. “Because I was a female, I was going to receive a nice engineering scholarship to declare general engineering as my major,” she said. “After one engineering foundations class, I was hooked! “I agree with Amanda that you have to have thick skin, know who you are, and from a professional standpoint, be confident and understand the depth of your experience,” she said. “Now when I sit down at the table, I may be the only woman at that table, but I feel confident enough to give my opinion. Although she did not pursue the craftsmanship side of construction, Yarbrough admits building cabinets is still in her cards. If she does, she will be an even rarer phenomenon since women make up less than 2 percent of carpenters nationwide! With more than 20 years of continuous growth and service to South Huntsville, the Bailey Cove Library is bursting at the seams. Research has shown that over the past year, more than 2,000 library cards were issued; more than 10,000 programs attended; and nearly 7,000 people used the public computers – JUST at Bailey Cove branch alone. Housed in the converted space of an old hardware store, the library opened its doors in 1997. At a mere 10,000 square feet, the library has long since outgrown its space. The issue of space resulted in plans being drafted for a 40,000 square-foot, high-tech community library and event space. The new library will be at Huntsville’s new Sandra Moon Community Complex on the old Grissom High School campus. When finished, it will be four times larger than the Bailey Cove Branch Library. At a recent South Huntsville Business Association meeting, Huntsville-Madison County Public Library Capital Campaign Director Caroline Kennedy presented plans for the new library, unveiling the Fuqua and Partners masterful conceptualization. “It will be a gigantic, state-of-the-art library, with lots of light and glass,” Kennedy said. “This is the future of libraries, what new libraries are going to be. It will be Class-A facility; there will be after-hours special events with separate access, event rental space, areas for classes, private study rooms, and meeting space. As part of the state-of-the-art technology, there will be a dedicated “Maker’s Space” which will have a 3D printer, large format printer for sign and banner making, and sewing machines. Planned design features include plenty of natural light, an open/bookstore-style floor plan, art gallery, Friends of Library bookstore, a coffee shop with inside entry and an outside walk-up and outdoor, patio seating, indoor fireplace, and a children’s garden. Officials from NASA and Blue Origin have signed an agreement that grants the company use of a historic test stand as the agency focuses on returning to the Moon and on to Mars, and America’s commercial space industry continues to grow, according to a statement Wednesday from the space agency. Under a Commercial Space Launch Act agreement, Blue Origin will upgrade and refurbish Test Stand 4670 at NASA’s Marshall Space Flight Center in Huntsville to test its BE-3U and BE-4 rocket engines. The BE-4 engine was selected to power United Launch Alliance’s new Vulcan rocket and Blue Origin’s New Glenn launch vehicle – both being developed to serve the expanding civil, commercial and national security space markets. Constructed in 1965, Test Stand 4670 served as the backbone for Saturn V propulsion testing for the Apollo program, which celebrates its 50th anniversary this year. It was modified to support testing of the space shuttle external tank and main engine systems. The facility has been inactive since 1998. NASA identified the 300-foot-tall, vertical firing test stand at Marshall as an underutilized facility and posted a notice of availability in 2017 to gauge commercial interest in its use. Blue Origin responded and a team was commissioned to begin exploring the proposed partnership. Under the agreement, Blue Origin will pay for the investments it makes to prepare the test stand for use, as well as any direct costs NASA incurs as a result of Blue Origin use of the stand, maximizing the value derived from taxpayer investment in government facilities. Blue Origin will manufacture the engines at its new facility under construction in Cummings Research Park. MADISON — The home for the Rocket City Trash Pandas baseball team is about one-quarter complete. Concrete and steel have gone up and the underground plumbing and electricity is being laid. Mud is moving, tractors are pulling, trucks are dumping, and walls are being erected. The entire Town Madison development may have gotten off to a slow start, but word on the baseball stadium job site is that there will be significant progress in the coming weeks, in anticipation of the December completion date. In fact, the development will reach a point in which it will suddenly seem to go up all at once. Hoar Construction, general contractor for the stadium, has 80 to 90 workers at the site on any given day. It is just one of many construction sites in full-build mode at Town Madison. So, what is it like out there on a day-to-day basis? Is everybody staying safe? Every trade has its own inherent risks associated with their type of work and for that reason, Wilder said they work diligently to get the right trade partners (subcontractors) on every project. While the construction industry operates under the Occupational Safety and Health Administration’s Primary Standards for Safety, there are other regulatory industries OSHA incorporates into its standards by reference. In fact, OSHA leans heavily on other building trades such as the National Fire Protection Association to write their own codes for fire extinguishers, fire suppression, or chemical exposure. The National Electrical Code also has its own safety protocol, incorporated into OSHA’s standards. 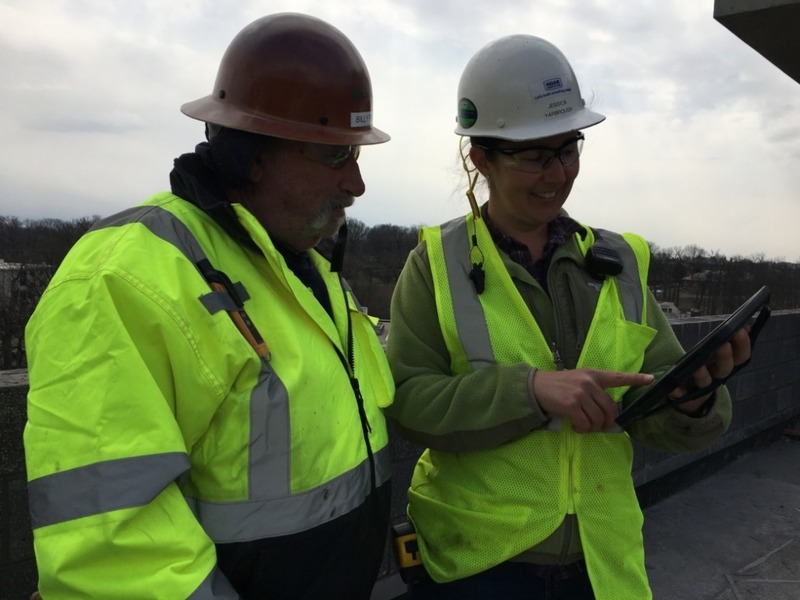 Amanda Black, Hoar Construction’s safety manager at Town Madison, begins every morning with a field walk through the jobsite. She checks to see what the last shift left for the next day, and to assess whether site conditions require a superintendent or a team to clean it up. She also makes sure there is room to walk around and maneuver safely and room to operate their equipment. She said as the general contractor, Hoar requires every team have safety meetings among their group, and Black confirms those meetings daily and any issues that arose from them, checking notes among supervisors to see if anyone spotted any safety hazards that need to be discussed. Construction safety also requires a great deal of foresight. Amanda spends a lot of time at the drawing table trying to safely predict any kind of hazard before it presents itself. There is an economic message in that strategy as well. The number one injury on any construction jobsite is trips and falls. “It seems that areas designated for storage tend to be where a plurality of these trip-and-fall injuries take place,” said Black. “We run to the problem, not away from it. We go back over the environment where they fell to see what caused it, and we check tools and equipment to make sure they were working properly. “I believe the construction industry has gotten safer in relation to previous generations,” said Wilder. “OSHA always looks at incident rate as the total number of recordable injuries that occur in year, and the total number of incidents that result in someone getting hurt or put on restricted duty due to the severity of an incident. ATHENS — The ripple effect of the Mazda Toyota Manufacturing Plant in Limestone County is creating several hundred jobs in Athens. Toyota Boshoku will manufacture seat systems at a $50 million plant in the Breeding North Industrial Park on Sanderfer Road. Construction on the facility, which will take up some 42 acres, is slated to start next month. 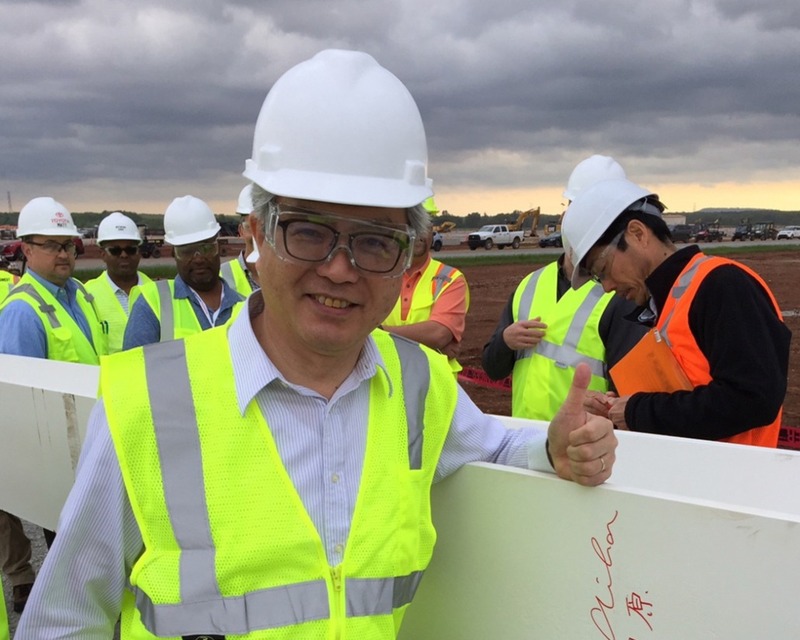 “When we began our search for a new site to build our production facility, we looked at many locations,” said Dr. Shuhei Toyoda of Toyota Boshoku. “After an extensive search, we determined that Athens, Alabama, is the perfect fit. The plant is expected to create about 400 jobs once full production is reached. Toyota Boshoku will supply seat systems for vehicles built at the Mazda Toyota plant some 30 miles away. The Mazda Toyota Manufacturing US plant is expected to create some 4,000 jobs with another 4,000-plus coming to suppliers, such as Toyota Boshoku and other. “Athens attracting one of the first Tier 1 suppliers for MTMUS speaks to our city’s attractiveness as a community and our great working relationship with several entities on industrial development,” said Athens Mayor Ronnie Marks. “From the state of Alabama to our Limestone County Economic Development Association and our other partners, we work well together to help industries invest in our community and provide jobs for our citizens. Marks was joined by Gov. Kay Ivey, Alabama Commerce Secretary Greg Canfield, Speaker of the House Mac McCutcheon, State Sen. Arthur Orr (R-Decatur), and Limestone County Commission Chairman Collin Daly. “We would like to welcome Toyota Boshoku America to Limestone County,” Daly said. Canfield said the addition of Toyota Boshoku adds momentum to the state’s efforts in landing quality jobs. In its new location on Voyager Way in Cummings Research Park, IronMountain Solutions has a lot to celebrate. IronMountain Solutions has moved all its operations under one roof. 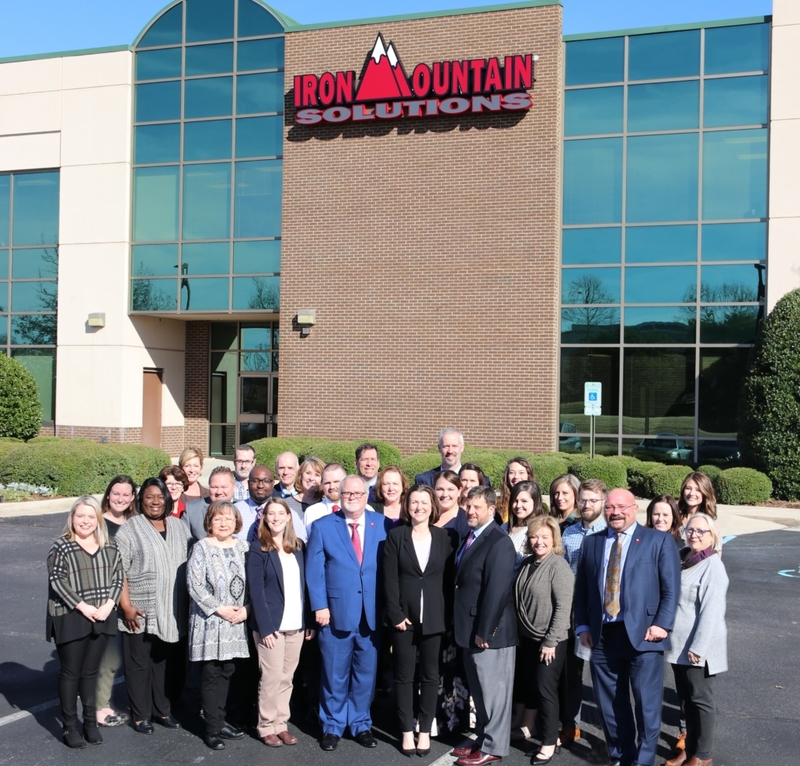 For the fourth consecutive year, IronMountain Solutions has been named as a contender for the Huntsville-Madison County Chamber of Commerce’s Best Places to Work award. Businesses that create an excellent workplace culture through employee engagement, strong leadership, and excellent communication are not only measured through anonymous employee surveys, but also publicly recognized by the Chamber. It’s no secret that IronMountain Solutions is a great place to work. As a rapidly growing enterprise that specializes in an impressive array of defense industry-based systems, security, solutions, and support, IronMountain Solutions fosters a dynamic, collaborative work culture with a highly focused vision of continuous growth. Because of this, the company was literally busting at the seams. 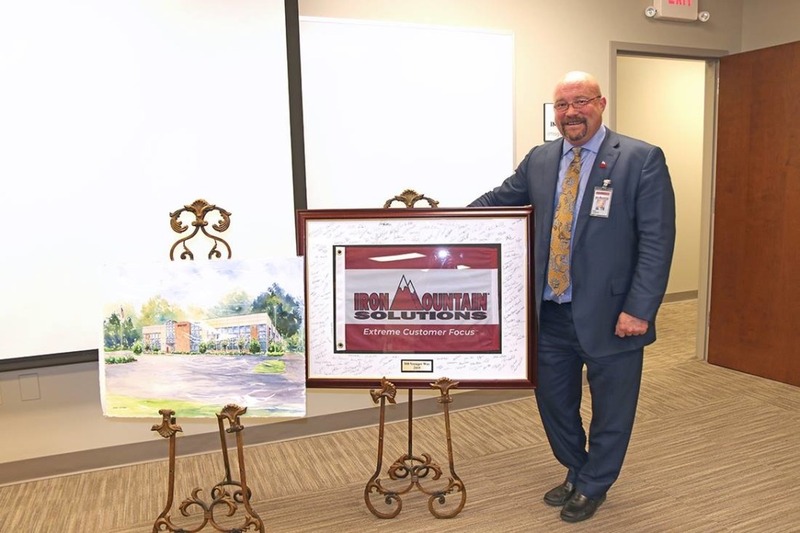 After spending the last decade as a tenant in a smaller facility, operations are now all under one roof, along with capacity for future growth, at its new facility on the corner of Old Madison Pike and Voyager Drive. IronMountain Solutions President/CEO Hank Isenberg sees more great things to come for his company. “It’s a big deal,” said Corporate Communications Manager Tiffany Morris. “In our previous location, we were spread across two different suites. We would have to trek across the campus, which made for a nice walk on a pretty day, but not so nice in bad weather. Shannon Drake, the company’s corporate community relations coordinator, said she welcomes the change of scenery – inside and out. “We can do more with interior design and office configuration,” she said. “We’ve gained five conference rooms. Two of them are large training rooms that can accommodate 50 to 60 people. 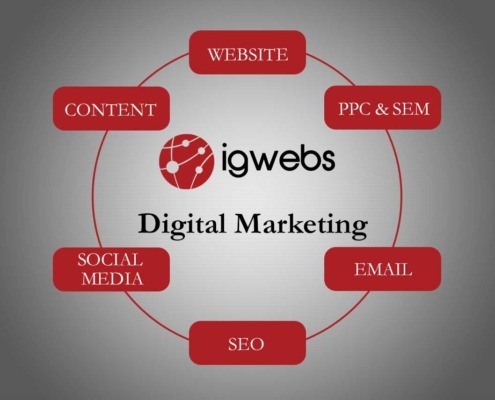 We also have state-of-the-art technology and secured access. “The same mindset that has kept us growing for the last 12 years will help us continue to be successful for years to come and that’s operating with extreme customer focus,” said company President/CEO Hank Isenberg. We strive to hire technically and tactically proficient employees, build sincere relations, and find ways to constantly improve our work atmosphere. MADISON — Two of Madison’s most popular spring events will be on separate days this year to accommodate the participation of more restaurants, pubs and breweries, according to the Madison Chamber of Commerce. The events – Madison Market and Bites & Brews Food & Beer Tasting – are known as Taste the Spirit of Madison and have been an all-day shopping experience followed by an evening of food, beverage and music. This year, however, Madison Market will be this Saturday, April 6, from 9 a.m. to 2 p.m. at the Insanity Complex on Hughes Road. Bites & Brews will be Tuesday, April 9, from 6-9 at Insanity. “It is difficult for local restaurants to juggle staff and food preparation on one of their busiest nights of the week, Saturday, with a separate offsite event,” said Pam Honeycutt, executive director of the Madison Chamber of Commerce. “In order to increase participation, we decided to move the Bites & Brews event to Tuesday night. Hosted by the Madison Chamber and sponsored by Madison Hospital, more than 60 local retail businesses will set up booths at Madison Market, offering shoppers a wide variety of goods and services from martial arts to custom teas. Madison Market is free and will feature health and wellness screenings, compliments of Madison Hospital; discounts on skating, mini-golf, and climbing; and karate, dance and futbol demonstrations. A New Leash on Life will be onsite with shelter dogs looking for forever homes. The LifeSouth Bloodmobile will be available for blood donors. And, of course, there will be plenty of food trucks offering choices from ice cream to barbecue. On Tuesday night, more than 25 restaurants and breweries are on display at Bites & Brews, sponsored by Mangia Italian Restaurant. Attendees can sample coffee and beignets to local craft beer and scrumptious desserts. There will be Greek, Italian, Asian, and pure Americana including popular New Orleans, Texan, urban, and good ol’ Southern cuisine. Local band, Groove will provide music and there will also be a silent auction. Tickets for Bites & Brews Food and Beer Tasting are $20 per person in advance and $25 at the door. You must be 21 years or older to sample the brews and an ID and wristband will be required. For tickets, contact the Madison Chamber of Commerce or call Honeycutt at 256-325-8317 ext. 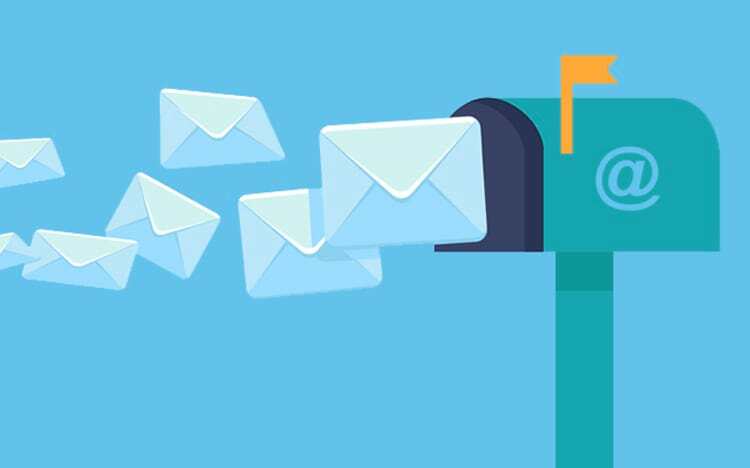 1; or email pam@madisonalchamber.com.